The 2014 Saul Bell Design Award Competition has opened for submissions! 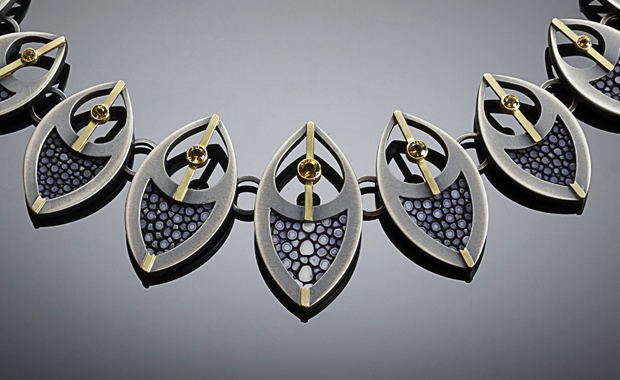 Now in its 14th year, the Saul Bell Design Award competition continues to recognize artists whose work challenges traditional perceptions of jewelry design. Artists and students worldwide are invited to enter their most innovative jewelry creations in six different categories. Submitted pieces must be wearable jewelry and must be composed of at least 75% of the material specified in the chosen category. The piece may not have won an award in any other competition prior to entry submission. The submission fee is $50 per entry.